Feel freedom to write something in your own language and translate it later. Update facebook status in your own language. 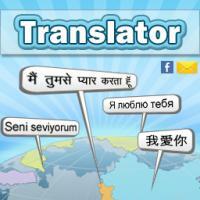 Translate and send text messages to your Love ones, Colleagues, Friends or Family.